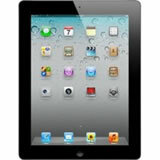 The interest generated by The New iPad comes primarily from its Retina display with 2048 x 1536 pixel resolution. The new iPad, iPad 3 or 3rd generation iPad as it is known was launched early (March) 2012 and discontinued by October same year after a new generation of iPad tablets was announced. The interest generated by The New iPad comes primarily from its Retina display with 2048 x 1536 pixel resolution. When it comes to its design the changes from previous version are minor. Unlike the iPad 2, the new iPad is 0.6 mm thicker and slightly heavier by about 50 grams. However, these slight differences are not physically felt when holding the new tablet in hand. There are literally no poor viewing angles on this new iPad generation, and the contrast is also excellent. While, under the same light conditions, most glossy displays turn into mirrors, the image on iPad's Retina display is matted with remarkably little reflection. Therefore, you can watch a movie SD, HD or even Full HD movies both outside and in artificial light; you can browse the internet and read books or watch movies without seeing your own face reflected. No doubt, the new iPad�s display is an excellent long-term solution from Apple that we can enjoy in the future. The camera on the back of the new iPad is also making it attractive. The iSight 5MP sensor for photographing and the Full HD features for video capturing, its image stabilization features and the, infrared filter are certainly impressive. The pictures you can get with the new iPad are outstanding for a camera installed on mobile devices, and the only thing one could complain is the utterly simplified interface. Of course, the ease of use is one of the things that set apart Apple products, and so the absence of an advanced control panel for photographing parameters is not at all a big surprise. The New iPad comes with significant improvements from the previous generation and, more importantly, its features and performance make it capable of providing an enjoyable experience for some time to come. On the other hand, its problems with over heating and loading only suggest that there�s room for future improvements and that Apple is still working on developing that perfect product.